While the Digital India program is expected to further propel the country's e-commerce industry and fasten India's transition to a knowledge economy, a common viewpoint is that archaic cyber laws, last mile connectivity bottlenecks and feeble infrastructure could be major deterrents to the project's on-ground success. Many technology startups hope that the momentum on the Digital India front would serve as the catalyst for the Centre to launch more startup-friendly policies. Recently, Modi launched the Rs 1.13-lakh-crore Digital India program in Delhi at a event attended by the country's top corporate honchos such as Mukesh Ambani, Anil Ambani, Sunil Bharti Mittal, Cyrus Mistry and Kumar Mangalam Birla among others. The first day of Modi's pet project saw India's leading industry houses commit investments worth Rs 4.5 lakh crore in a slew of technology initiatives that can potentially add 1.8 million new jobs. The major highlights of the Digital India move are the endeavours to connect 250,000 villages with broadband, provide 400,000 public internet access points, give wifi connections to 250,000 schools and so on. "I dream of a digital India where high-speed digital highways unite the nation; 1.2 billion connected Indians drive innovation; technology ensures the citizen-government interface is incorruptible," Modi had said. Reliance Industries chairman Mukesh Ambani said his company will invest over Rs 250,000 crore in the digital space. This would include the spend on roll-out of wireless broadband infrastructure and manufacturing of mobile handsets. He said RIL's digital investments will create employment for over 500,000 people. Saurabh Kochhar, Co-Founder and CEO - Foodpanda India: "Digital India is a much needed initiative for the booming e-commerce space in India. Private sector shall be able to help the government with required business models and strategies and make inroads for itself to explore new opportunities and demographics. Having said that, the Digital India dream will have its own set of challenges to deal with. It will be difficult to access the internet since fibre network is not available in many remote villages. This project needs a lot of coordination and optimum utilisation of infrastructure to execute the big challenge." Abhinav Choudhary, Co-Founder, Smartprix.com: Only the future will tell us at what extent internet connectivity will grow as we don't have even physical connectivity like roads in many parts of the India. It will be most crucial and beneficial to connect our rural areas to increase productivity in agriculture sector and give new employment opportunities to seasonal workers. Another important thing is digital security. Is India ready to put its identity online without being afraid of its misuse? It's essential to build digital infrastructure with immense security measures to prevent it against cyber attacks." Pratik Jain, Co-Founder, MyOperator: "If successful, it could transform citizen access to multimedia information, content and services. It also gives the government access to a great deal of information. However, laying cables doesn't ensure they will be used. The startup ecosystem is waiting for such initiatives. Absence of startup friendly policies has made many successful startups shift their bases outside India. This initiative can be the start of a big change." Diwakar Chittora, Co-Founder and CEO, Intellipaat: "Innovation and entrepreneurship will get a tremendous boost. Once the digital gap in smaller cities is bridged, there's a huge possibility they might become the preferred locations for startups due to lower operational costs. Additionally, local talent will not have to migrate to larger towns for employment opportunities." Rohit Raghav, Co-Founder, Phone Warrior: "Indians need and deserve a visionary approach to public services like the Digital India initiative. However, one of the fundamental lacunae in British-era bureaucracy systems in our country is the lack of feedback systems for government policies and execution. Service that will go completely digital will become faceless to a large extent and run the risk of big gaps in delivery quality. Ubiquitous mobile phones could be the ideal partner for government and people in facilitating very fast, simple, and accurate real-time feedback. True democratisation means true empowerment and it can begin now." Amit Nath, Country Manager, India & SAARC - F-Secure: "Along with taking this special initiative, it is essential to take the cyber laws and security aspects into consideration. It is certain that cyber crime will be on a rise and we will need to consider whether India is ready and inline to this digital future. Furthermore, the security aspect of the infrastructure is required to be crafted carefully and the positive side is that all these necessary technologies and services exist today. We just have to be certain that they are in place, very much strong and that masses are familiar & savvy with these services being offered to them." Rajat Mohanty, CEO & Co-Founder, Paladion Networks: "It is very encouraging to see cyber security being given emphasis in the Digital India Campaign. India has a lot of talent and there are many entrepreneurs brimming with ideas on information security. 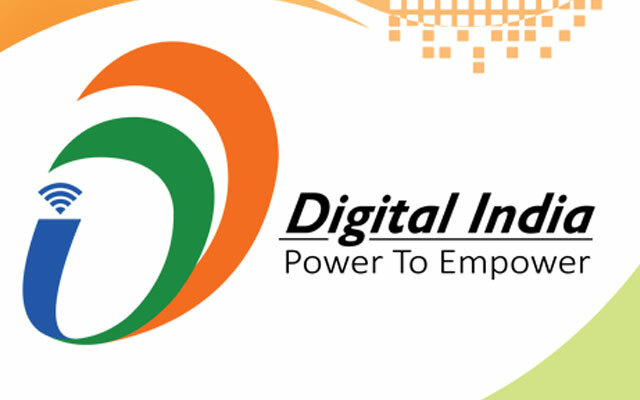 The Digital India Campaign will give a boost to the 'Make In India Cyber Security Market."